In U.S. universities, just 12 percent of engineering professors are women. Only 11 percent of engineers are female. Yet according to the Washington Post, women receive 20 percent of the engineering degrees awarded yearly. Researchers have long wondered about this divide. They cite, for example, women's greater likelihood of becoming full-time parents. Some speculate that women tend to be less aggressive in pursuing opportunities. As it turns out, neither explains the problem. Instead, a chilly workplace environment seems to be the main reason women leave engineering careers. In a new study, researchers surveyed more than 5,000 women. These women earned engineering degrees over the past 60 years. The Post reports that forty percent had either left engineering or never used their degree professionally. Women most frequently cited "uncivil workplace climates," as the main reason they left engineering. Examples included "the expectation to put in long hours of face time in the office, and the perception that there was little opportunity to advance." Supervisor support, according to the Post, was often lacking. Additionally, women engineers complained about male coworkers. Men's comments and gossip suggested that women were not as smart as men. Many jobs and labs did not provide for workers with families. Women had to choose between careers and families. Other women disliked being the only female employee in their workplace. Research shows that mentoring is important. Researchers interviewed women who stuck with engineering and went on to successful careers. These women often said they began their careers with supportive supervisors. Therefore, researchers told the Post, closing the gender divide in engineering requires changes from the top down. Changes must be system-wide. One researcher told the paper "this is not a womans issue'" and leaders must acknowledge that. It's "about creating a good work environment." This is interest in because 20% of the engineering degrees awarded yearly are awarded to women, but won en don't get a job in engineering because they are afraid to be the only women in the job. According to recent research, only eleven percent of engineers are women. In an attempt to determine why, researchers theorized that parenthood and less assertive methods have caused this. Studies have shown that female engineers dislike the office climate and the suggestion of a lack of a reward. Others expressed a disliking of their male coworkers. Successful female engineers have cited the support of their supervisors as a substantial reason for their achievement. This article was clearly written and relatively easy to understand. I enjoyed its uncommon topic and abundance of information. The Researchers found out that most women leave there engineering because of uncivil workplace climate because it is so cold in the workplace they are in. There aren't a lot of female engineers because they either give up their engineering degrees or used their degrees for something else. They also don't do It because of their male co-workers comments. In this article I think more women should be engineers if they have the degree to do it. I don't get why they wouldn't work because they are the only girl in the lab. That's showing they would rather want women in the lab. But other women don't chose to. But also I think women should be treated with the same respect as men at work places. Like the women engineers, they should be able to do the same as men engineers. 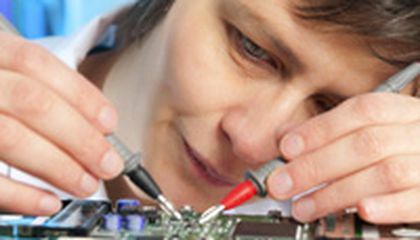 I think that women can do engineering too but most don't want too. In my opinion this probably won't help get more female engineers but if some women want to I wonder how long they would work there. Engineering is not something feminine woman should endeavor in. Some jobs are most suitable for women and some jobs are suitable for men. You don't see woman being exterminators or a garbageman. It's not feminine. Just like construction working. Of course you might see a few woman in these professions but generally speaking it's not common. Women prefer to take on much easier roles in society such as being a accountant or school teacher. Men and women both have their job preferences so it's no surprise only 11 percent of engineers are women. This is a very interesting story. I liked your view on this story. I likeI like how that talks about the girls perspective. I like how it's about creating a good work environment.I can't believe the women stuck with engineering. In us universities, only roughly 12% of professors are women. Also, only 11% of engineers are women. Besides that, women win about twenty percent of the engineering degrees awarded yearly. Uncivil workplace climates was the main reason lots of women left engineering. Lots of people say it's not a "women's" issue, it's about creating a good work environment.